Even if you've never undergone an MRI scan yourself, you've probably heard the term on various medical TV shows or in everyday conversation. In case you aren't sure what it is, MRI stands for magnetic resonance imaging. It is a diagnostic imaging technique that uses a magnetic field and radio waves to produce detailed images of your body's internal organs and tissues. An MRI machine can also produce three-dimensional images that may be viewed from several different angles. The unit of measurement used to quantify the strength of a magnetic field in an MRI machine is called a Tesla (T). Most MRI scanners operate at a strength of 1.5 Tesla. A 3 Tesla MRI, however, operates at twice the normal strength, providing a greater signal-to-noise ratio, which is a major determinant in generating the highest quality image. The strength of a 3 Tesla MRI yields myriad benefits for radiologists and their patients. Listed below are just a few. ​It is extremely efficient, leading to shorter examination times. 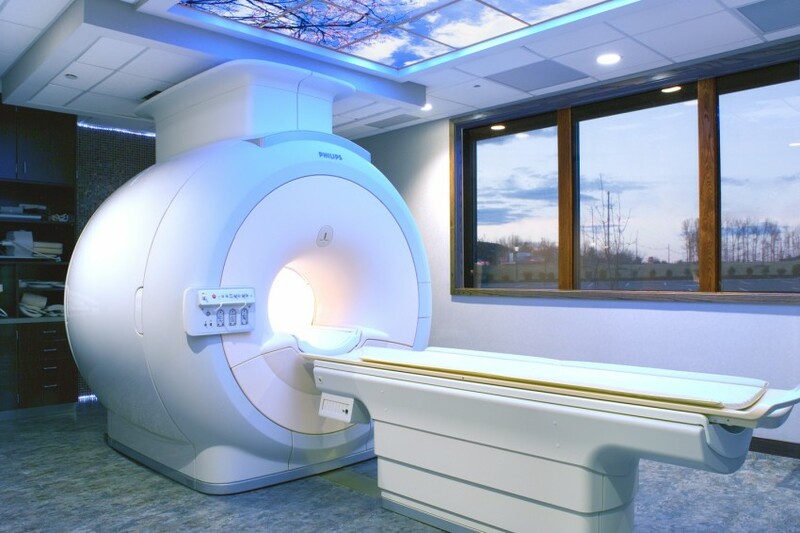 It provides a more pleasant patient experience, since the shorter size of the magnet bore relieves the sense of confinement patients associate with most MRI scanners. The higher resolution of the 3 Tesla MRI produces more detailed images, which are beneficial when diagnosing pathological conditions involving the brain, spine, and musculoskeletal system. The resolution and clarity also allow radiologists to identify smaller lesions and anatomical structures that cannot be seen with less powerful machines. It allows for more sophisticated imaging procedures with more accurate diagnosis. It lowers the risk of distorted images, thus eliminating the need for repeated scans. Because the 3 Tesla MRI scanner is so reliable, physicians, radiology experts, and the rest of your health care team are able to provide you with a quicker diagnosis and more accurate treatment, which improves your chances of seeing a positive outcome. We offer 3T MRI scans at our diagnostic imaging centers in Lawrenceville and Hamilton, NJ. Do you have any questions about MRI scanners or diagnostic imaging in general? Feel free to post in the comments section below.